23 Year 7 and 8 students have successfully completed Brilliant Club. Each student completed six tutorials with a PhD student from some of the top universities in the country. One group focused on the sanctity of life- what makes something alive? When does life begin and end? How do we determine the quality of life? - and wrote a 750 word essay applying these concepts to euthanasia. The other group focused on the start, spread and treatment of Ebola in West Africa and also wrote a 750 word essay on their topic. Five pupils graduated with distinction, which is a high honour amongst such an elite group of students. 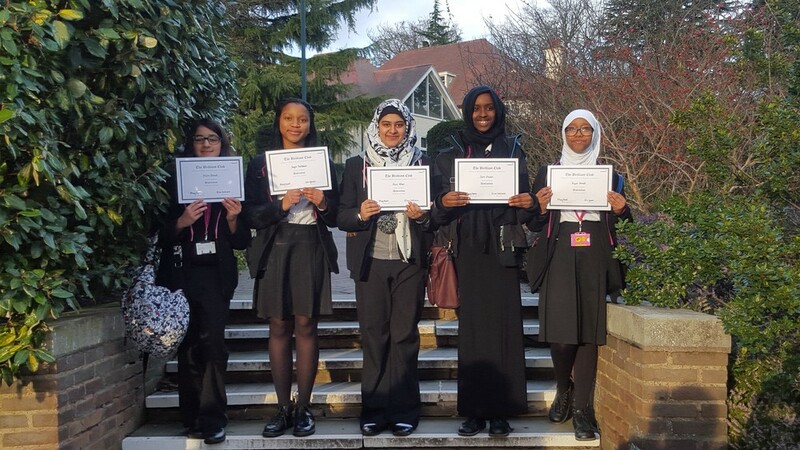 Our five distinction students were Noor Khan (8M), Sara Hassan (8F), Joyce Yambasu (8U), Rayan Ahmed (8L) and Alisha Ahmed (7H). Huge congratulations to all our girls involved and their amazing achievements!